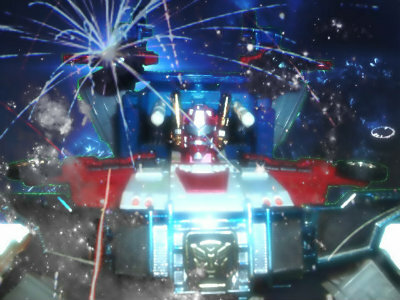 Some of the best prices and service for G1 ko/reissue figures. Thanks for the link, I just bookmarked it for future use! And welcome to the Lair, Calliespaul! Hope you like it here and stick around! If you need anything just ask. those prices are outrageous. no thanks. Ravage wrote: those prices are outrageous. no thanks. I don't know why you think those prices are outrageous as they are cheaper than almost any I have seen on the net. To each his own, though. Sixshot wrote: Thanks for the link, I just bookmarked it for future use! And welcome to the Lair, Calliespaul! Hope you like it here and stick around! If you need anything just ask. I plan on sharing some pics of my personal childhood collection and some of my 4 year old son's beginning collection soon! cause I have gotten some of those things from other places and they aren't near that expensive. Just had another look, those prices look good to me! Of course, I'm not in the market for G1's right now as I've already completed my collection ('84-'87) of characters that appeared in the cartoon. I do need the Throttlebots, but I'm not losing sleep over not having them either. Noticed a lot of the reissue boxes. Now THOSE I'd be interested in buying, as the G1 boxes are just too damn expensive for my blood. 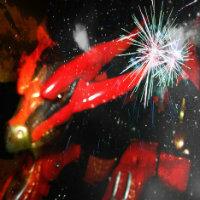 Ravage wrote: cause I have gotten some of those things from other places and they aren't near that expensive. $20-$30 shipping to the US from outside the country. I ship everything for FREE, from the US with priority mail shipping. My prices are anywhere from 10-30% less than these G1's go for on Amazon, etc. Sixshot wrote: Just had another look, those prices look good to me! Of course, I'm not in the market for G1's right now as I've already completed my collection ('84-'87) of characters that appeared in the cartoon. I do need the Throttlebots, but I'm not losing sleep over not having them either. Thanks Sixshot! I will see if I can come up with some reasonably priced Throttlebots and let you know. I am not sure why Ravage thinks my prices are out of line...unless I am missing something, few sellers in the US have anything cheaper and the sellers I found with cheaper prices, all want $20-$30 to ship to the US and you have to wait for weeks sometimes to get your goods. I ship FREE with Priority Mail shipping from the US. I guess we could quibble over saving $1 or two. Most people I have found like getting their products in 2-3 days from a domestic seller, even if it costs a $1 more. Also, I frequently run sales where I lower the prices 10% or more AND still offer free shipping! all the stuff I get has free shipping too. but hey I hope you do well with your new store. Those prices are not bad. I've seen a lot of those reissues on ioffer.com. Welcome Paul, sadly I won't be shopping on that site because I live in the UK and I don't collect G1 toys as such, besides importing from the US costs a bomb, not just on postage but the import charge, so I'm cautious about where I get my figures from and how I built up a descent selection of ebay sellers I trust to get things to me without these ridiculous charges being laid on! And also, please join the rest of us beyond Doubledealer's section, we might seem a bit crazy or dead in Dirge's case but we're a friendly bunch of people and when we poke fun at one another, its only for a laugh and never truly critical or anything, so feel free to look around our little corner of the Internet, even read or comment on my comics or topics of interest to you!